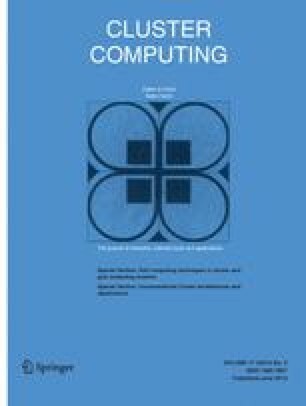 In the present work an implementation of the Back and Forth Error Compensation and Correction (BFECC) algorithm specially suited for running on General-Purpose Graphics Processing Units (GPGPUs) through Nvidia’s Compute Unified Device Architecture (CUDA) is analyzed in order to solve transient pure advection equations. The objective is to compare it to a previous explicit version used in a Navier-Stokes solver fully written in CUDA. It turns out that BFECC could be implemented with unconditional stable stability using Semi-Lagrangian time integration allowing larger time steps than Eulerian ones. This work has received financial support of Agencia Nacional de Promoción Científica y Tecnológica (ANPCyT, Argentina, grants PICT-1141/2007, PICT-0270/2008, PICT-2492/2010), Universidad Nacional del Litoral (UNL, Argentina, grants CAI+D 2009-65/334, CAI+D-2009-III-4-2) y European ResearchCouncil (ERC) Advanced Grant, Real Time Computational MechanicsTechniques for Multi-Fluid Problems (REALTIME, Reference: ERC-2009-AdG, Dir: Dr. Sergio Idelsohn). Also we use some development tools under Free Software like GNU/Linux OS, GCC/G++ compilers, Octave, and Open Source software like VTK, among many others.